2013 Dresses | lancome | Steal This Dress! I am definitely a tan addict. As soon as fall arrives, I start worrying that I look pale or even green. But I don’t use tanning beds or spray tans because each freaks me out in its own way (cancer, zebra stripes). As you’ve probably guessed, bronzing powder has become an essential item in my makeup bag. It helps me avoid feeling that I look ghost-like and has definitely made a few people ask me if I just returned from a tropical getaway. If you’re looking for something not too pricey, try Physicians Formula Loose Bronzing veil. 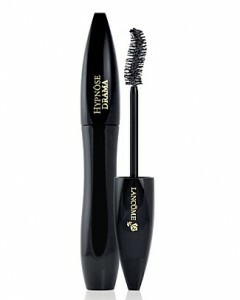 It is conveniently packaged in a container with a built-in brush, making it especially perfect for on-the-go touch-ups. Those who are willing to spend a little more should check out Star Bronzer Poudre Soleil from Lancome. The thin compact also makes taking it with you in your purse hassle-free. The lid has a mirror, which is quite handy. I actually own both of these products and alternate using them depending on which shade I’m in the mood for on a given day. In my experience, both products provide the skin with a just-right, not overly orange color and a smooth finish. Many makeup artists say you should apply bronzer to three areas on your face: jawline, cheek bones and forehead. On days when I feel I need extra enhancement, I ignore this rule and apply bronzer all over. 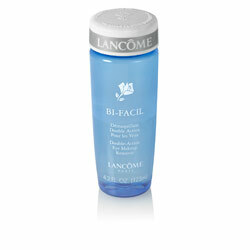 Both the Lancome and Physicians Formula products get the job done equally well.